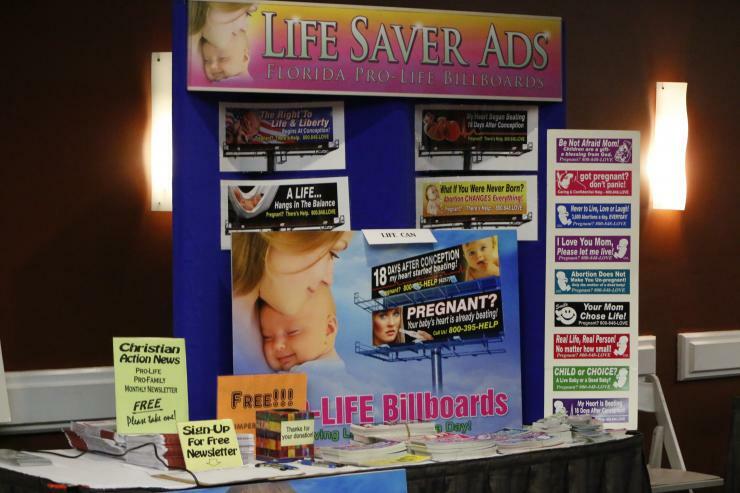 WESTON | Speakers at the 31st annual Respect Life Statewide Conference minced no words and spared no feelings in their condemnation of abortion. Dr. Anthony Levatino recalled his own years of performing first and second trimester abortions by holding up the medical instruments he used: a suction tube for the first trimester and forceps for the second. Those second trimester abortions are “blind” procedures, he noted. They require the doctor to feel around inside the womb and grasp and pull, then count the body parts to make sure he got them all. 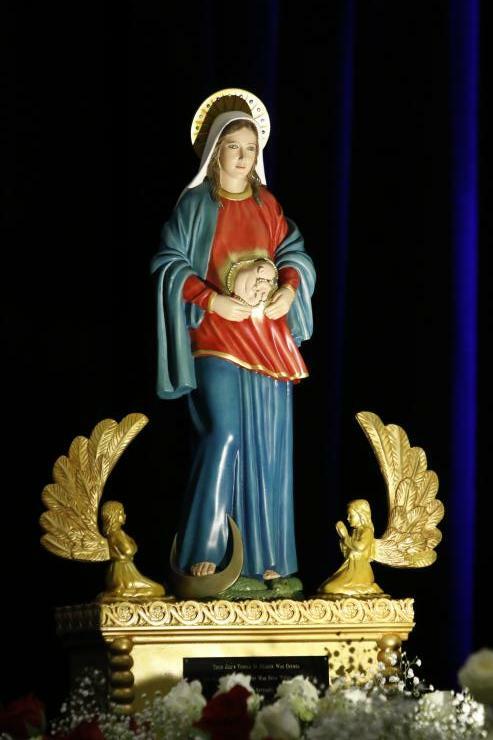 “If you had a bad day, like I did sometimes, the baby’s face is staring back at you,” he told an audience of nearly 500 who attended the annual conference, held Oct. 20-21 and hosted this year by the Archdiocese of Miami. Alveda King, niece of civil rights leader Martin Luther King, Jr., compared the Supreme Court’s 1972 Roe v. Wade decision, denying personhood to the unborn, to the 1857 Dred Scott decision, denying personhood to black slaves. 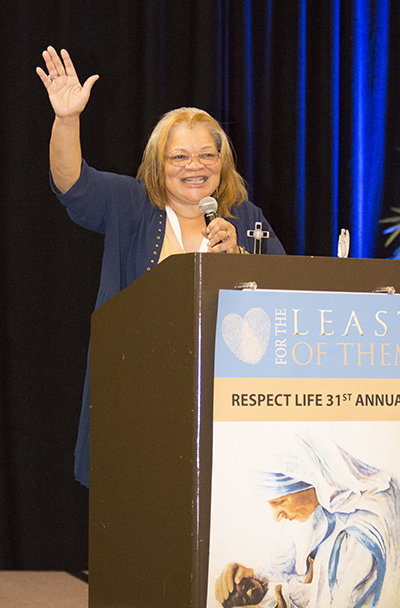 Alveda King, niece of civil rights icon Martin Luther King, Jr., speaks of the connection between the civil rights movement of the 1960s and today&apos;s pro-life movement, during her talk at the 31st annual Respect Life State Conference, "For the Least of Them," held Oct. 20-21 in Weston. She called abortion “the new face of racism” and Planned Parenthood racist, noting that 79 percent of abortion clinics are in minority neighborhoods. “Take the knee to defund Planned Parenthood,” she said while showing images of kneeling football players. Both shared their personal stories of conversion from the pro-choice to the pro-life point of view. King had two abortions before having five children, and one miscarriage, with her current husband. 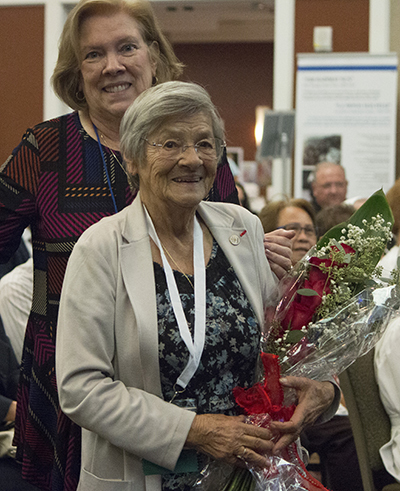 Although she is not Catholic, she serves as a pastoral associate with Priests for Life, directing their outreach to African-Americans and Civil Rights for the Unborn campaign. But he was pro-choice. Even after he and his wife had trouble conceiving and found there was a five-year waiting list to even get on a waiting list for adoption. Through their medical connections, they eventually adopted a newborn girl: the daughter of a 15-year-old whose first pre-natal care visit had taken place the day before she went into labor. Levatino didn’t change his mind about abortion even after that girl, his daughter, died in a car accident at age 6. He merely stopped performing second trimester abortions. He estimates that from 1981 to 1985 he performed 1,200 abortions, including more than 100 in the second trimester. “For the first time in my career, after all those abortions and all those years, I looked, I really looked, at that pile of gook on the table. And I didn’t see her right to choose. I didn’t see the $800 I made in 15 minutes. All I saw was somebody’s son or daughter,” he said. 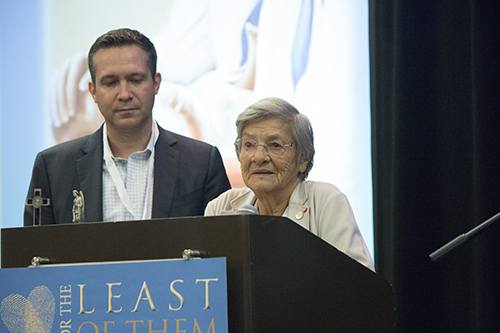 Joan Crown, director of respect life for the Archdiocese of Miami, stands with Birthe Lejeune, widow of Dr. Jerome Lejeune, who discovered the extra chromosome that causes Down syndrome and fought all his life for those children&apos;s right to live. 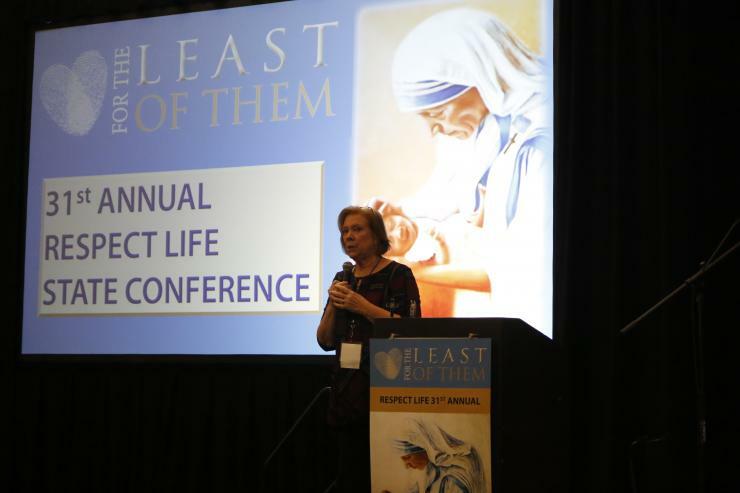 The tribute to Lejeune highlighted the opening session of the 31st annual Respect Life State Conference, "For the Least of Them," held Oct. 20-21 in Weston. It would take another year for him to stop performing abortions all together, a decision he made after being persuaded by his wife, a nurse, to attend a pot luck dinner for a pro-life group. Five years later, he quit his practice to go to law school. 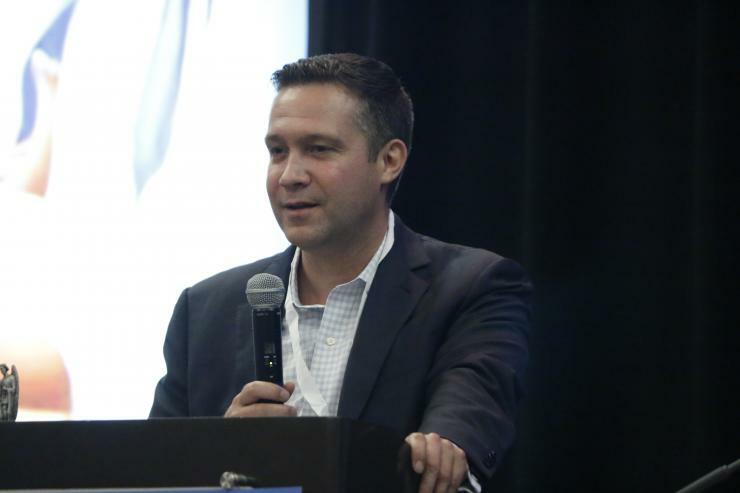 He now has a pro-life medical practice in New Mexico. 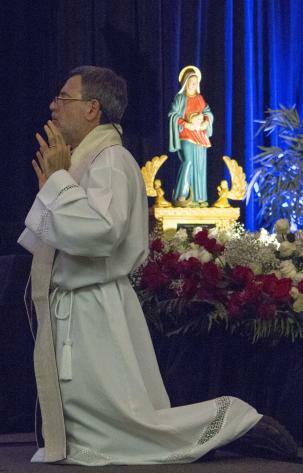 He told those present at the conference, and archdiocesan clergy at a private session afterward, that the key to advancing the pro-life agenda is to elect pro-life legislators. King also sounded a hopeful note about the pro-life movement. She noted that there are now more pregnancy help centers than abortion clinics nationwide, and she cited the legal efforts to ban abortions after 20 weeks. “Every move forward is a victory. We’re not moving fast enough. But we are moving,” King said. 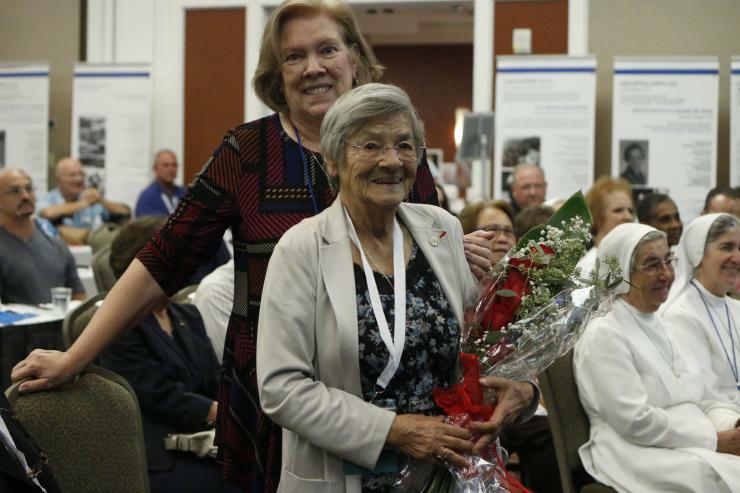 Other speakers at the conference touched on reproductive technologies, such as in vitro fertilization and current efforts to edit the human genome, on end-of-life issues, and on abortion’s effect on men. 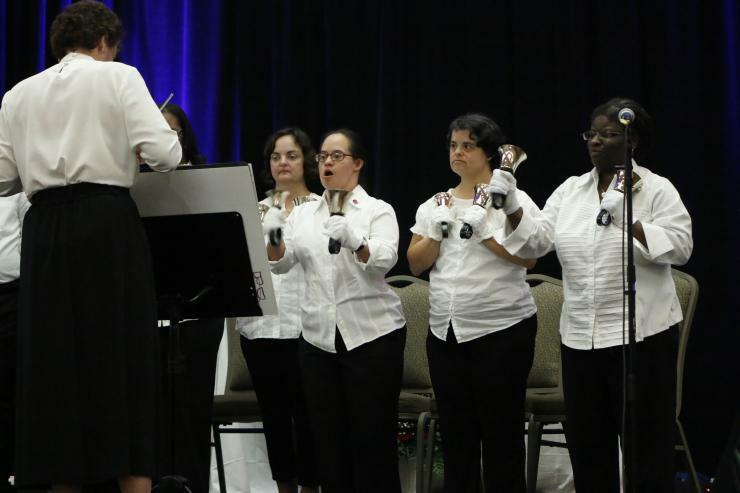 The opening session also paid tribute to Dr. Jerome Lejeune, a French physician who discovered the extra chromosome that causes Down syndrome. 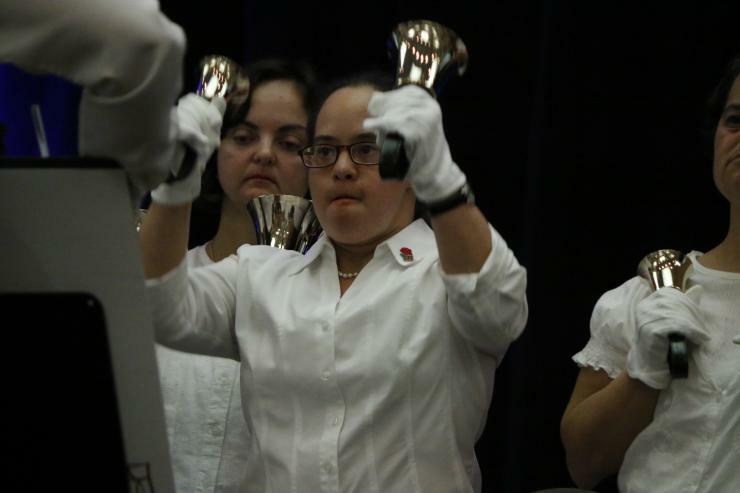 His vigorous defense of the right to life of Down syndrome children cost him dearly, said Joan Crown, director of respect life for the Archdiocese of Miami. “Abortion was the gap between him and the scientific world,” she said. Just before his death in 1994 at the age of 67, St. John Paul II named him the first president of the Pontifical Academy for Life. In 2012, the Church recognized him as a Servant of God — a step on the way to sainthood. 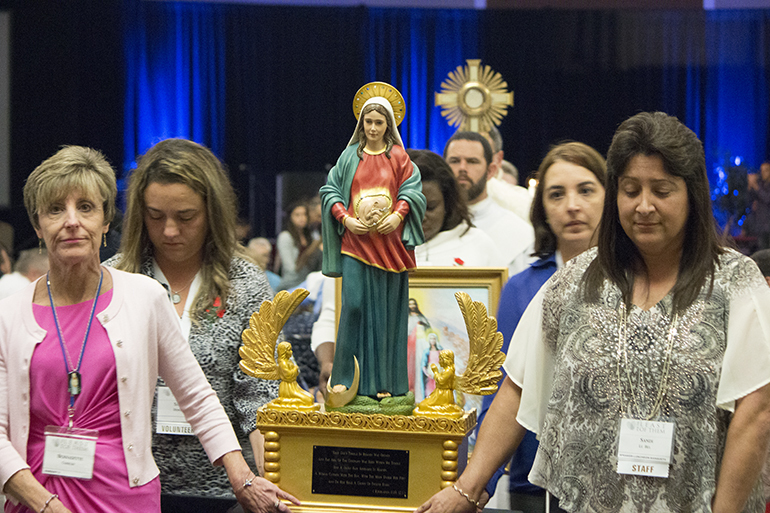 Respect life volunteers carry the statue of Mary, Ark of the New Covenant and Vessel of the Preborn Jesus in procession at the conclusion of the opening session of the 31st annual Respect Life State Conference, "For the Least of Them," held Oct. 20-21 in Weston.